Today's Book Children's e-Book Review is actually two books, by Theo Lightfoot: The Gift of Helping Others and The Pebble of Perseverance. This is a tender, tender book and we (my 10, 8, and 5 year old and I) loved reading it. It is one I will be reading to them again, a compliment I don't often say. 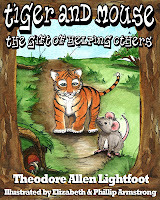 Tiger's desire to help his friend and the sweet grace the Mouse family says over their food make a story that teaches a lesson of charity and made us feel good to read. Five stars for storyline and five stars for the illustrations that added to the story. Well done! Storyline of The Gift of Helping Others: Tiger wants to play and is perplexed when Mouse single-mindedly looks for a nut and carries it all the way home. When Tiger peeks through a hole in the tree into Mouse's house, he discovers a scene that sends him gathering nuts and berries as fast as he can. What does Tiger see? I really enjoyed how Mouse helped Tiger accomplish his goals. Often we need that kind of help ourselves, and that's what true friends do. Five stars for a wonderful storyline. The illustrations added to the story and would've been five stars too, except that the island inconsistently changed sizes during the rescue scene. Total stars: 4.5, and a recommendation to read this book to your children! My 10, 8, and 5 year old all listened raptly through the entire story. 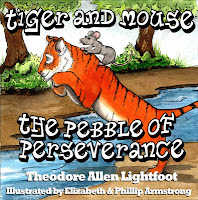 Storyline of The Pebble of Perseverance: When water pours through the jungle, it creates a river between the homes of Tiger and his best friend Mouse. If Tiger wants to visit Mouse, he must improve his leaping skills. But it's hard! Can Mouse help Tiger jump higher? Can Tiger's new skills save Mouse from drowning? This book illustrates an excellent lesson about hard work and perseverance. I enjoyed these books so much, I asked Theo Lightfoot for an author interview. See that interview on July 30th! 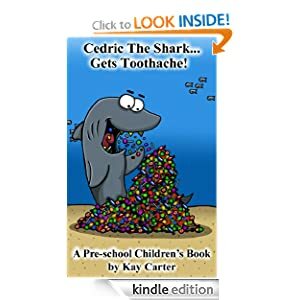 This Author Interview is with Kay Carter who wrote and illustrated two books in the Cedric series: Cedric the Shark Gets A Toothache, and Cedric the Shark Has His First Day At School. Valerie: What is the toughest part of being an author? Kay: Too many ideas and not enough time. Valerie: What is your favorite book ever? Kay: Very difficult question - probably Love In The Time Of Cholera by Gabriel Garcia Marquez or We Of The Never-Never by Jeannie Gunn. Valerie: Which book would you love to take a weekend vacation inside of? 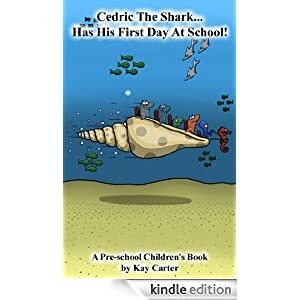 Valerie: What inspired your book cover for Cedric the Shark Has His First Day at School? Kay: Children love colour and silly ideas. The idea of riding to school in a seashell, pulled by a seahorse and driven by an octopus tickled me. Valerie: Are you working on anything new? Kay: All the time. I am in the middle of another Cedric experience (coming very soon) and am attempting my first romance novel. Valerie: Anything you want to say to people reading this post? Kay: If you have a hankering to write (I believe we all have an unwritten novel within us) do not feel afraid to put pen to paper and express yourself. Amazon Kindle is the ideal platform to test your ability and I still believe today that your cover and title are probably the major items that help sell your book so take some time and choose carefully. Click here for the Facebook page for Cedric's books. 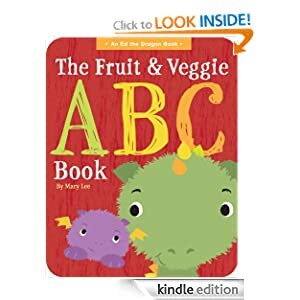 Today's Children's Picture e-Book Review is The Fruit & Veggie ABC Book, written and illustrated by Mary Lee. Ages 3-8. This is a book for pre-schoolers that teaches each letter of the English alphabet. As I scrolled through each letter, I kept wondering what fruit or veggie would go with the letters V, X and Z. I recognized the Valencia Orange and Zucchini (of course! ), but I didn't recognize the fruit Ximenia (a character named Squish explains how to pronounce "Ximenia," thank you!). Of course I had to look Ximenia up to find out what it tastes like: a sour plum best eaten slightly overripe. And now I know! And so do you. I give this book five stars for its cute illustrations, big letters perfect for little fingers to trace, and the fun character Squish who keeps showing up on the pages with little comments. Naming a character (or child)? Naming a character used to be a lot more difficult. We could turn to baby naming books or telephone books, but now we have the Internet and Facebook. And naming has become a lot more fun. 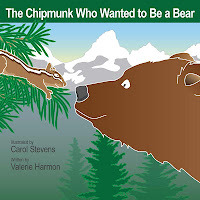 I've had trouble creating the names for The Peacock Who Wanted To Be A Pig (my fourth book) and The Chipmunk Who Wanted To Be A Bear (my fifth book now being edited for publication). So I turned to my Facebook friends! If you don't know, (spoiler warning) my main characters end up a mashup creature at the end, with a new mashup name. But you try to mashup up the name Peacock and Pig without it turning obscene. Difficult! So I asked my friend on Facebook and they came up with so many names I hadn't thought up: Peaswine, Pigtails, Peagolot, Peagley, Penny, Peapig, Pock, Peagy, Pigapea, Pigpea, Piggipea, Peacpig, Pick, Peacig, Pigock, Peachog, Percy, Plum, Peakapig, and Peakig. Aren't they creative? You don't have to write a book to have such creative friends, but a naming project sure brought the creativity to the front. And that's how Peaglet got its name. 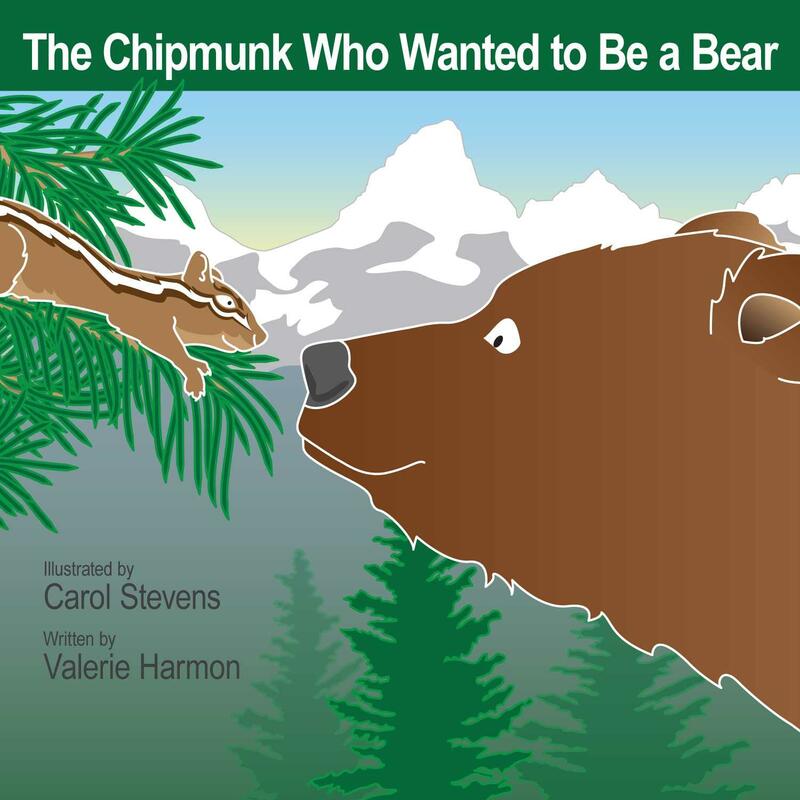 Now I just finished The Chipmunk Who Wanted To Be A Bear. But my creativity was failing me! The only name I could think of was Bip, and that didn't seem to fit him. So, back to Facebook I went, and my friends came through: Chibear, Chipbear, Chipper, Chippybear, Chipbear, Chipbe, Chipar, and Bunky. Some well liked suggestions were Cher (!) and Chair or Bunk (and have him work in a furniture store). After a final vote, Chizly (Chipmunk-Grizzly) took the honors and I love the name. It fits my main character so well, and I never would have thought it up myself. Thank you Facebook friends for your naming capability! One friend (thank you Kim) discovered a Unique Naming Site. It could be helpful, if I didn't have such creative friends. But I did spend a diverting half hour plugging in different animals and discovering possible mashups. I've seen occasional naming request posts from people who can't figure out what to name their child. Facebook friends are great at naming, but I must admit that my first suggestion for a girl is, Valerie. Mainly because I can't name any of my daughters Valerie, since it'd be too confusing in our home. So, go ahead, ask me what to name your daughter or female character. I've got a good one my parents picked out! Good luck with naming your child or character. Today's Children's Picture e-Book Review is the The Smartest Princess, written and illustrated by Mary Lee. Ages 3-8. This is a princess book that emphasizes brains AND hearts. Three smart princesses compete in the annual princess intelligence contest (WPIC-World Princess Intelligence Challenge) and they learn from a fourth princess that kindness is a smart too. I read this book with my 8 year old daughter. She enjoyed the pink and purple illustrations, the adorable princesses, and how the littlest was the wisest. I liked how this story emphasizes that real princesses have smart brains and caring ways. The illustrations are darling, colorful and so appealing to girls. For example, the floor to ceiling books in the library were all color coordinated, a detail that I thought cute. The storyline is uplifting and fun to read, with an ending that I didn't predict. Kindness rules! I highly recommend this book. Authors who use Amazon know that positive reviews are what make a e-book. And there's nothing more dismal than publishing a e-book onto Amazon and watching it sink to the bottom of indifference. Indifference? How can this be? The book you sweated over isn't worth reading? The truth is, even if your book is well-written, it WILL get lost in the tsunami of Amazon books, unless you market it. Marketing rule number one is Write More Quality Books. But rule number two is Gather Positive Reviews. I feel ethically we should NEVER pay for fake reviews. Giving a free book in exchange for an honest review is ethically moral, but buying fake reviews crosses the moral line. I am not the only author to feel so. Check out the True Review Pledge, a website (free) dedicated to gathering Authors who take the pledge to: never buy fake reviews and never negatively review in order to hurt the competition. This is a positive step and I recommend all authors take this pledge. You do not want to ask people to review your book if it's not ready. Make sure your book is edited for grammar and storyline! Make sure you've had Beta Readers polish it (people who read it for grammar and storyline and are willing to give you honest feedback), and that you have polished versions ready in a .pdf and a .mobi file. Reviewers will want to read it in either format. How do you get reviews? ASK! Ask your friends and family (as long as they do not live with you) to read and review your book. Ask your Facebook friends, your LinkedIn friends--choose your social platform--and ask people you're connected with, to read and review your book. After family and friends, it's time to ask strangers. GoodReads: Go to Groups on GoodReads and search "Reviews" and your category of book. You will find both readers and authors willing to read and review books. Book Haven and Strictly Reviews and Read4Review are great places to start. GoodReads Authors/Readers is the group I use the most. Because I'm write children's literature, I use the Children's Fiction thread. Author Marketing Club: I haven't tapped the surface of this group much, but I'm very impressed by the forums and the amount of people who want to read and review books. And I've been approached by two other authors for a book review exchange. Book Blogs: This is a great group of readers and authors. I have felt very welcomed and have already learned tips about blogging--and I've been a member for only two days. So I am very impressed. Join the group Dedicated Book Reviewers and you now have a connections to more reviewers. There are so many places you can find readers willing to review your book in exchange for the fun of reading it. Just remember to give back. If you gather reviews within a group, then you should also make the time to review other authors. We can all work together to lift the quality of books everywhere, by reviewing and encouraging the best books. 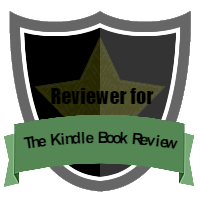 The Kindle Book Review (I'm on the team) is a fabulous place to get your book reviewed, if you can get into line. This is the Author Resources page, which is full of helpful links for getting reviews (and for promotion). And if you want to Get Reviewed, click on this page. I have to add The Indie View to this list. If you want to search for Indie Reviewers that review your genre, click here. If you want to become an Indie Reviewer, click here. 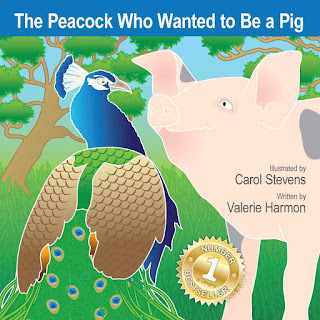 I am on the list as an IndieReviewer of children's books! I searched reviewers and found five who review children's books. I will be sending out review requests today! What is the best number of reviews? I'm going to get personal here, and tell you some of my numbers. My experience is limited to Amazon, but I will tell you that it's AT LEAST 15 reviews, and it's not 12 reviews or less. 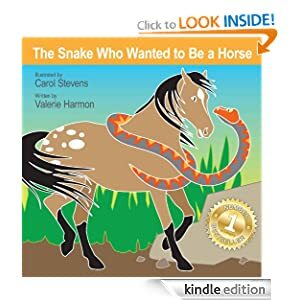 My first book, The Snake Who Wanted To Be A Horse, when it had 18 reviews, went on a KDP promotion and received over 5,000 downloads, with a high sales spillover for over two weeks, and a low sales spillover the rest of the month! That felt great! 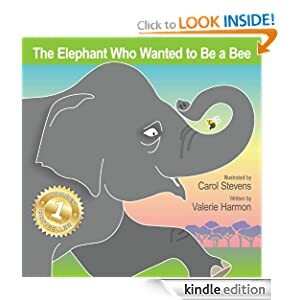 With my second book, The Elephant Who Wanted To Be A Bee, with 15 reviews, the free downloads were over 2,000 and the spillover was a week and a half. 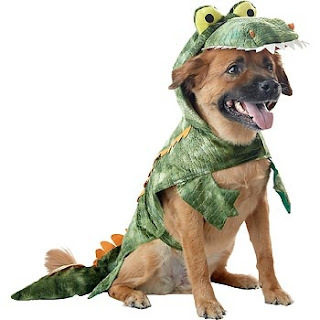 My third book, The Alligator Who Wanted To Be A Dog, went into KDP promotion for a weekend with only 12 reviews. I thought it was enough. But it wasn't! After a whole weekend, and following the same marketing procedures as before, it garnered 462 free downloads with NO sales spillover at all. Was I disappointed? Yes! But I learned that the Amazon algorithm respects reviews, and the magic number is at least 18! My first book about the Snake-Horse goes on KDP promotion the first week of July. It's up to 37 reviews and a 4.6 star rating, so I'm very interested to see how the downloads and sales spillover trend. I will keep you updated! If you want me to review your book, and it's a children's picture e-book, then click on the tab at the top of this page (For Authors: Review Guidelines) and follow the instructions. Today's Children's Picture e-Book Review is the Princess Kiah series, Princess Kiah and the Peas, Princess Kiah and the Frog, and Princess Kiah and the Glass Slipper, written and illustrated by Joy Findlay for girls Ages 3-9. Kiah is a girl who reads princess stories. She applies the stories to herself, with mixed results, but she always knows her parents love her. The illustrations are gorgeous. They are delicate and girly and would make nice wall posters. 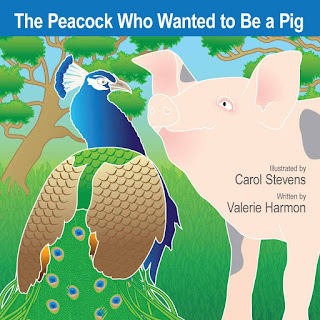 The storyline is cute and simple and my 8 year old daughter cuddled with me as we read them. She REALLY liked Princess Kiah and the Peas story. Probably because she could relate, being a Princess too! I rate the storyline a 3.0, but the illustrations a 5.0, which makes a total of 4.0 stars. Fun little tales! They are short, so I am glad they came in a set of three. Alright, it's only partially real. But isn't it such a cute costume? 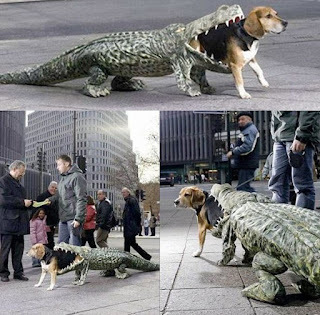 Yes, that's a real dog, and a life-like Alligator costume. I can't stop laughing at the long-suffering expression on the dog's face. That costume is definitely for the humans! 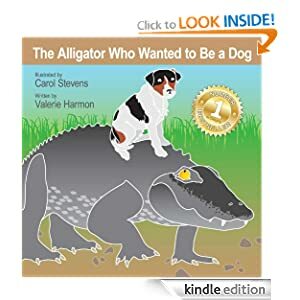 Enjoy the free e-book, if you don't have a copy of The Alligator Who Wanted To Be A Dog yet!